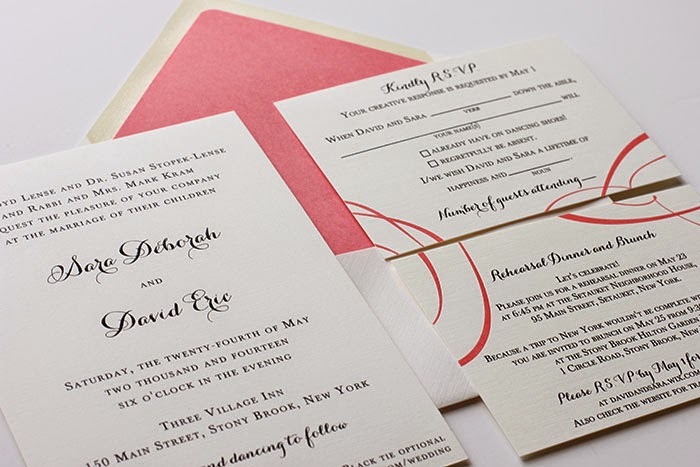 Loved working with Sara & David on their wedding invitations! 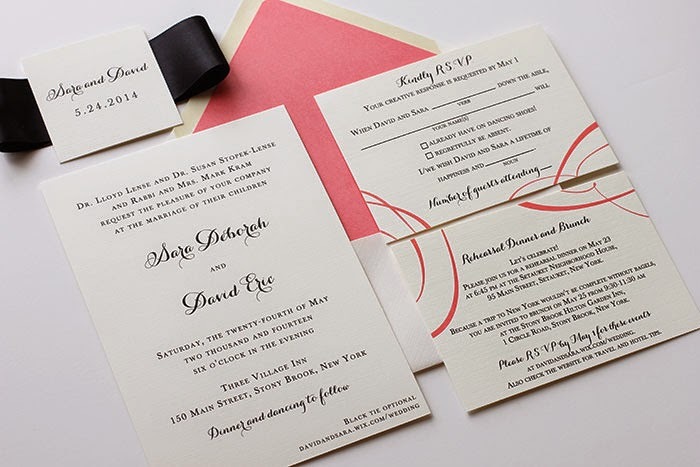 They chose the Grace invitation and spiced it up a little with the ribbon rsvp and insert card (and a fun mad libs rsvp card!). 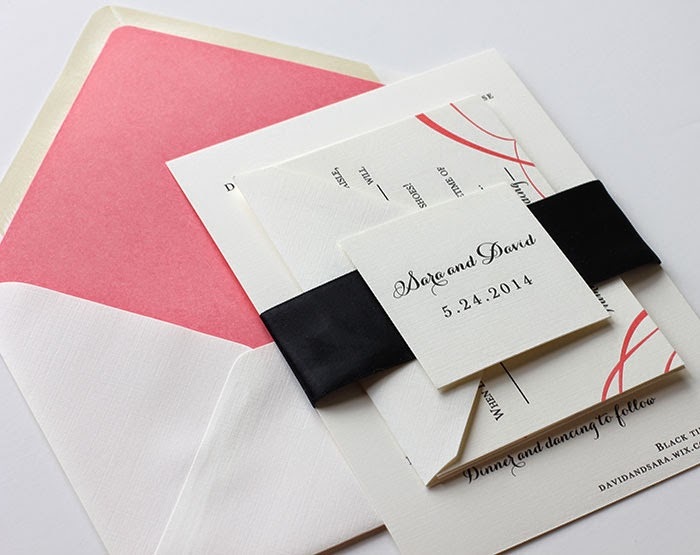 We printed their suite in black & coral thermography on fabulously thick off white linen stock. And you know how I feel about a belly band.... perfection!